There’s something indulgent about visiting your local coffee shop to sip a frothy latte or a fresh cup of Joe that’s brewed just right. But a great cup of coffee doesn’t have to be expensive or involve a drive. And you don’t need to invest hundreds (or thousands) of dollars in a specialized coffee machine that eats up counter space. With a few simple gadgets you can upgrade your morning brew and become your own best barista. A great cup of coffee starts with great beans, so treat yourself to some high quality, whole coffee beans. Buy them at a local grocery store or specialty shop, and have them ground just before buying. Or you can buy them whole, store them until use, and grind them as-needed with a simple $20 coffee grinder from Krups or Braun that you can put away when you’re done. Store your freshly ground coffee in a cool place (although not in the fridge or freezer) in a sealed container, like ones you use to store flour or sugar. You can also elevate your beverage simply by using filtered water, which removes minerals and impurities that may impact flavor. Use your fridge water dispenser or a water filtering pitcher. Automatic drip coffee makers have their place—they can be programmed in advance and have coffee ready when you wake up. But you can also buy a few simple kitchen tools that will give you café-level coffee and espresso for very little money, take up less room in your kitchen, and may even be conversation pieces when entertaining. 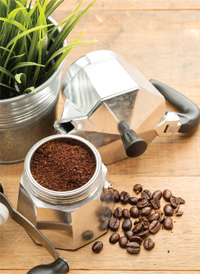 To make espresso drinks, buy a stovetop Moka pot—a tried and true method that was first patented in Italy in the 1930s. Made of metal, they have three compartments: the bottom holds the water, the middle one holds the ground beans, and the top collects the finished brew. The water steams into the grinds and delivers a strong flavored beverage. You can buy them for less than $20 and make some fantastic espresso right on your stovetop. Slightly more complicated—but allowing you good control of the coffee strength—are several “press” options. 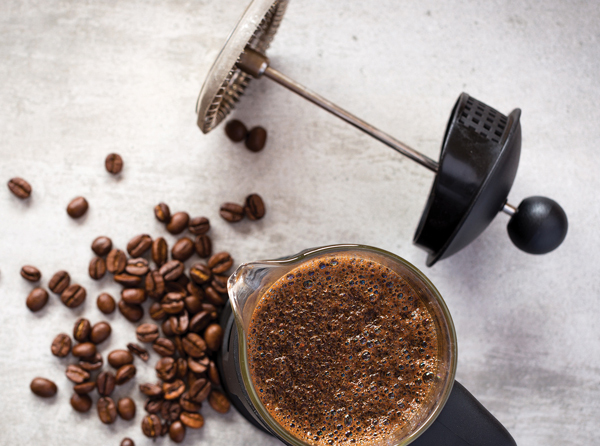 A French press is easy and can be purchased in several different materials, including glass, stainless steel, and even good quality plastic, which is a smart choice for outdoor use, like camping or on a patio. To use, simply mix coffee and hot water in the container, which has a lid fitted with a strainer. Let the coffee brew for the desired time based on your preferred strength (usually around three to five minutes) and then press the strainer down—so that the grounds are at the bottom and the coffee is on top—then just pour the coffee out. You can buy different sizes—from individual cups to larger ones for entertaining—and you can get some really stylish options, with stainless steel or copper accents, to impress your guests. They sell for $15 or more, depending on style and size. Another popular “press” brand is an Aeropress, which brews faster than the French press and provides a less acidic coffee. The coffee grinds soak in hot water for about 30 seconds, and then air pressure pushes the coffee through a special filter right into your cup. They are well priced at around $30, but you will need to purchase special filters for use. For these options, you will need a method to heat the water— either with a stovetop or electric kettle. Most coffee aficionados will advise you to cool the water slightly before pouring it over, since the ideal brewing temperature is 200 degrees and many kettles will boil water at a higher temperature. 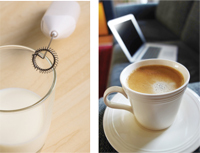 Want to make delicious lattes and cappuccinos at home without a huge stainless steel machine hissing in your kitchen? No problem. There are some simple options for frothing up milk. A hand-held, battery-operated frothing wand with mini whisks at the end sells for as little as $7. Even the more expensive ones like those from Aerolatte sell for only $20 to $25. 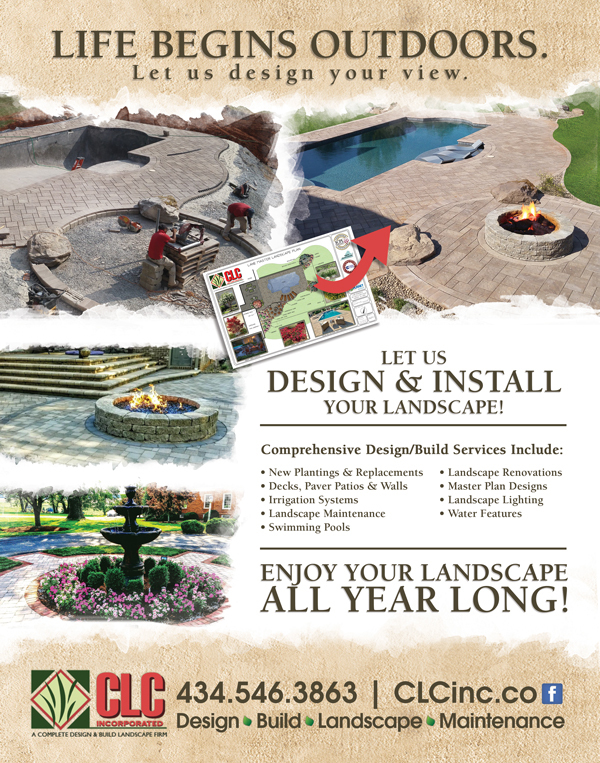 They are a great choice for not only your home but for your office, since they are so portable. They work by frothing milk cold in a mug or glass container. You then heat the container with the milk in a microwave and then add your coffee. Quick and simple—and small enough to store in a drawer. Freestanding automatic frothers sell for roughly $35 to $50 and work like electric kettles—they heat and whirl the milk until the desired level of froth is achieved. They’re easy to use and leave your hands free for making your coffee. You can also experiment with different milk options—skim, whole or reduced fat dairy milk, or dairy-free options like almond, cashew, and coconut. Just be aware that these non-dairy options may not froth quite as well as dairy milk. 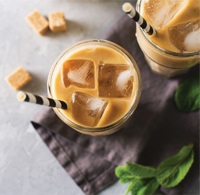 For those who enjoy iced coffee, you can buy pre-made cold brew coffee in stores, but you can also make your own. Cold brew coffee makers involve a soak and filter system, where grounds are soaked for 12 to 24 hours and then filtered through a filter pad or fine mesh strainer. Instead of hot water, it’s just room temperature or cold. The result is a smooth-brewed thick coffee that is mixed with water, milk or nondairy milk. You add a small amount of the coffee to create the drinks, so it lasts for days. The process is simple, easy, and allows you to choose your preferred coffee beans—whether different strengths and types of beans, fun flavors, or even decaffeinated. You can buy larger systems that brew quarts at a time, or smaller ones for individual use. Many range from $10 to $50. Another element that makes barista coffee taste like such a treat are the flavors and spices you can choose to add to your finished brew. So definitely go the extra step and stock up on your favorite syrups and spices from your local gourmet store. 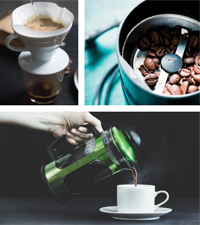 Whether you are brewing up a coffee to go, sipping an iced creation, or lingering to enjoy a big mug of latte on your couch, with a few simple additions to your kitchen, you can be your own best barista, brewing up beverages perfectly suited to your taste.